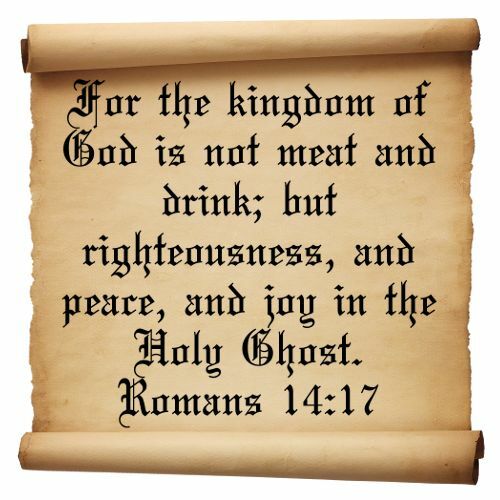 My kingdom is righteousness, peace and joy in My Spirit, says the LORD. It is without end. That means that My righteousness never ends. I will not compromise My righteousness, ever. I desire you to SEEK MY KINGDOM and MY RIGHTEOUSNESS, always, for it does not change with times and seasons, or cultures. Is the same in all places for all people for all time. I Am a GOD of righteousness, and I will rain down My righteousness! I Am the Sovereign, and I will not allow unrighteousness to rule and reign over Me, says the LORD. My peace that passes all understanding is for you, says the LORD. It is unending. Seek Me, and you will find peace. I will give you answers of peace when you call upon Me and let ME become your peace! For sustained peace comes when you not only seek Me and find me, but as you keep your mind stayed upon ME and your eternal position in Me! You have been given eternal JOY, that will not change with times, seasons or the storms of life. They will come and go, but MY PEACE and JOY will remain, unchanged, unending and unsurpassed. As you seek My kingdom and righteousness and you seek ME, you will have My UNSPEAKABLE, everlasting joy, regardless of your circumstances, says the LORD. Thank You, Lord, for Your neverending LOVE & CARE and for Your freely given GIFT of GRACE bought with Your shed BLOOD on the Cross as forgiveness for ALL of our SINS!!!!! Amen I believe it! I receive it!